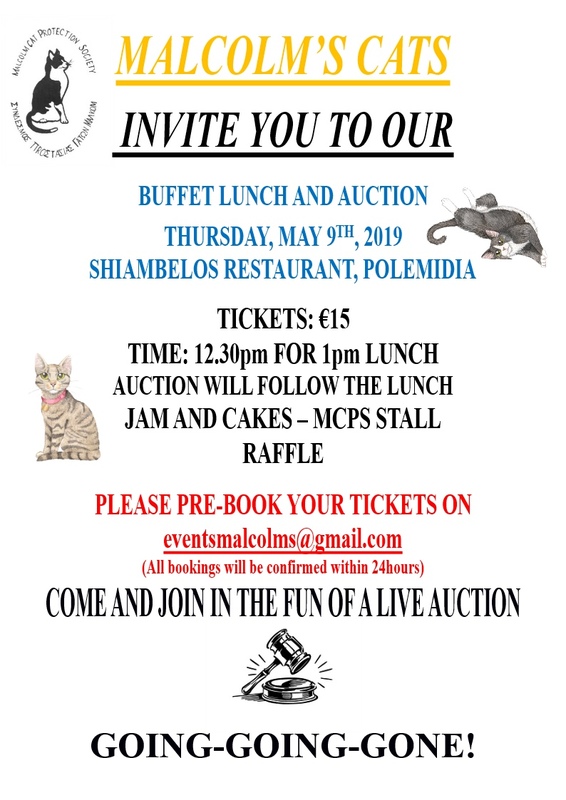 MCPS invite you to join us for a Buffet lunch 12.30 for 1.00 & Auction to follow at Shiambelios Restaurant, Polemidia (Scroll down for map) on Thursday May 9th . All the details are on the following flyer and we look forward to welcoming you. Tickets are €15.00 & must be booked in advance. Thank you to Castle Auctions who have kindly agreed to supply the auctioneer this year.